Android Studio 2.0 is the fastest way to build high quality, performant apps for the Android platform, including phones and tablets, Android Auto, Android Wear, and Android TV. As the official IDE from Google, Android Studio includes everything you need to build an app, including a code editor, code analysis tools, emulators and more. This new and stable version of Android Studio has fast build speeds and a fast emulator with support for the latest Android version and Google Play Services. Android Studio is built in coordination with the Android platform and supports all of the latest and greatest APIs. 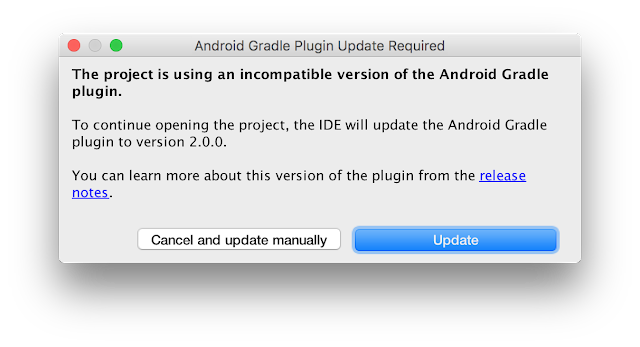 If you are developing for Android, you should be using Android Studio 2.0. It is available today as a easy download or update on the stable release channel. Cloud Test Lab Integration - Write once, run anywhere. Improve the quality of your apps by quickly and easily testing on a wide range of physical Android devices in the Cloud Test Lab right from within Android Studio. App Indexing Code Generation & Test - Help promote the visibility your app in Google Search for your users by adding auto-generated URLS with the App Indexing feature in Android Studio. With a few click you can add indexable URL links that you can test all within the IDE. IntelliJ 15 Update - Android Studio is built on the world class Intellij coding platform. Check out the latest Intellij features here. Today, mobile platforms are centered around speed and agility. And yet, building for mobile can sometimes feel clunky and slow. Instant Run in Android Studio is our solution to keep you in a fast and fluid development flow. The feature increases your developer productivity by accelerating your edit, build, run cycles. When you click on the Instant Run button ( ), Instant Run will analyze the changes you have made and determine how it can deploy your new code in the fastest way. Whenever possible, it will inject your code changes into your running app process, avoiding re-deployment and re-installation your APK. For some types of changes, an activity or app restart is required, but your edit, build and run cycles should still be generally much faster than before. Instant Run works with any Android Device or emulator running API 14 (Ice Cream Sandwich) or higher. Since previewing Instant Run at the end of last year, we’ve spent countless hours incorporating your feedback and refining for the stable release. Look for even more acceleration in future releases because build speeds can never be too fast. To learn how you can make the most out of Instant Run in your app development today, please check out our Instant Run documentation. The new Android Emulator is up to 3x faster in CPU, RAM, & I/O in comparison to the previous Android emulator. And when you're ready to build, ADB push speeds are a whopping 10x faster! In most situations, developing on the official Android Emulator is faster than a real device, and new features like Instant Run will work best with the new Android emulator. In addition to speed and performance, the Android Emulator has a brand user interface and sensor controls. Enhanced since the initial release, with the emulator you can drag and drop APKs for quick installation, resize and rescale the window, use multi-touch actions (pinch & zoom, pan, rotate, tilt) and much more. Trying out the new emulator is as easy as updating your SDK Tools to 25.1.1 or higher, create a fresh Android Virtual Device using one of the recommended x86 system images and you are ready to go. Learn more about the Android Emulator by checking out the documentation. Cloud Test Lab is a new service that allows you to test your app across a wide range of devices and device configurations at scale in the cloud. Once you complete your initial testing with your Android Emulator or Android device, Cloud Test Lab is a great extension to your testing process that provides you to run through a collection of tests against a portfolio of physical devices hosted in Google’s data centers. Even if you do not have tests explicitly written, Cloud Test Lab can perform a basic set of tests to ensure that your app does not crash. 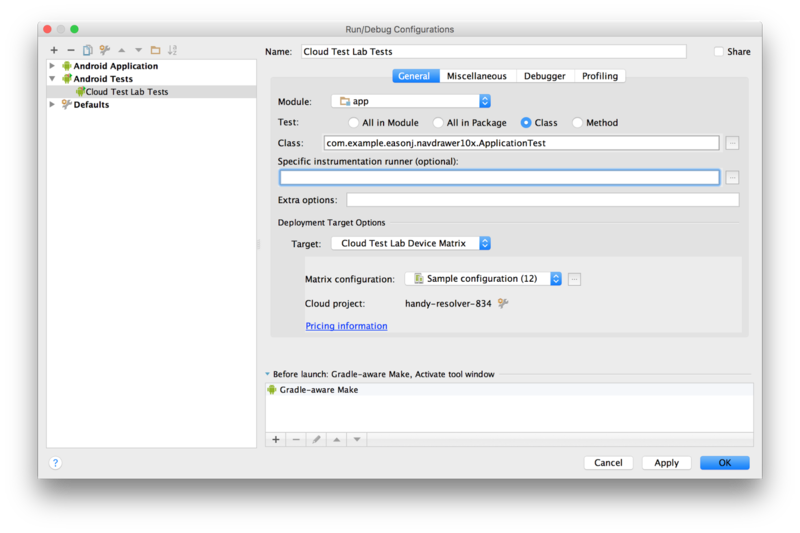 The new interface in Android Studio allows you to configure the portfolio of tests you want to run on Cloud Test Lab, and allows you to also see the results of your tests. To learn more about the service go here. 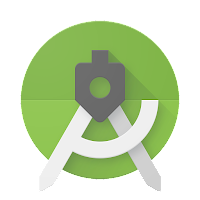 Check out this link for more details about app indexing support in Android Studio. 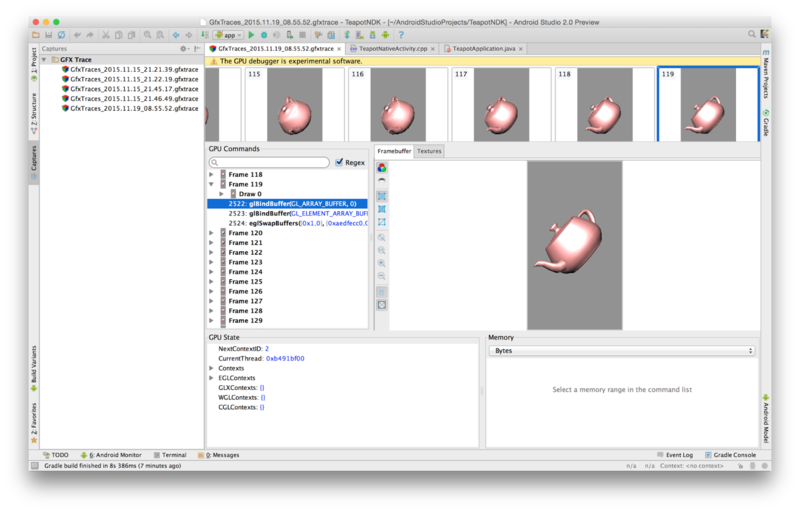 If you are developing OpenGL ES games or graphics-intensive apps, you have a new GPU debugger with Android Studio 2.0. Although the GPU debugger is a preview, you can step through your app frame by frame to identify and debug graphics rendering issues with rich information about the GL state. For more details on how to setup your Android device and app to work with the tool, check out the tech documentations here. If you are using a previous version of Android Studio, you can check for updates on the Beta channel from the navigation menu (Help → Check for Update [Windows/Linux] , Android Studio → Check for Updates [OS X]). If you need a new copy of Android Studio, you can download it here. If you developing for the N Developer Preview, check out this additional setup instructions. 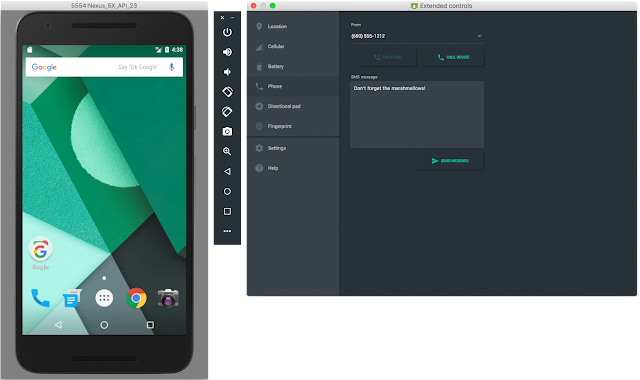 After you update to or download Android Studio 2.0, you should upgrade your projects to use Instant Run, and create a fresh Android Virtual Device (AVD) for the new Android emulator and you are on your way to a fast Android development experience. Using Instant Run is easy. For each of your existing projects you will see a quick prompt to update your project to the new gradle plugin version (com.android.tools.build:gradle:2.0.0). For all new app projects in Android Studio 2.0, Instant Run is on by default. Check out the documentation for more details. We are already hard at work developing the next release of Android Studio. We appreciate any feedback on things you like, issues or features you would like to see. Connect with us -- the Android Studio development team -- on our new Google+ page or on Twitter.